Once I had a friend, Gyuri, when I still lived in Budapest. He was the first person I knew who loved wine, and he was a major influence on me and on my ideas of what good wine is all about. 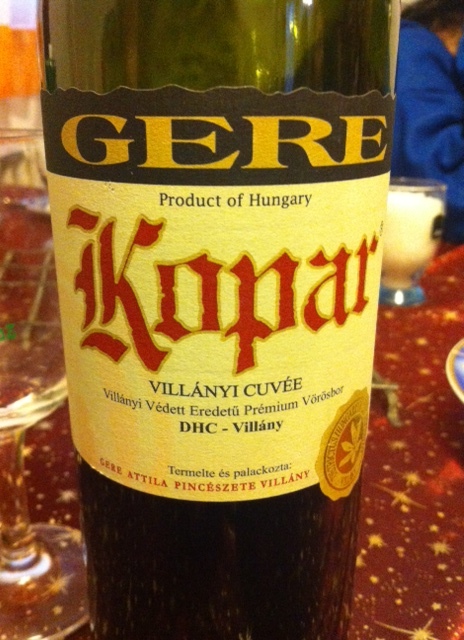 It was also Gyuri who introduced me to Attila Gere’s Kopár Cuvée. Gere is one of the best-known and most prestigious winemakers in the Villány region of southern Hungary. He is particularly famed for his Bordeaux-style red blends. 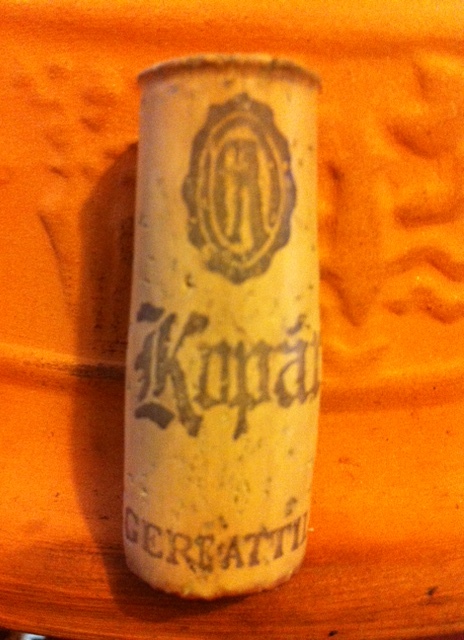 Kopár was one of Gyuri’s cherished wines, and it went down in my personal wine history as The Wine of Villány – and at that time, it was The Wine in general for us, as fifteen years ago we still had little access to serious foreign bottles. So here I am in 2014, opening this beautiful bottle of Kopar 2006 for the family Christmas lunch, and I’m overwhelmed with nostalgia. Gyuri is long gone – he was taken by cancer over ten years ago… but Kopár is still here. After a few hours of allowing it to breathe, we clink glasses and I sniff. Coffee and black pepper hit me, accompanied by intense berry aromas. The wine still needs to breathe but it’s clear that we’re in for a real treat. At this stage in its life it’s a serious, savoury, medium-bodied wine that could well live another 5-8 years. It’s spicy, fruity, balanced and has a great intensity of aromas and flavours. And it’s a beautiful way to remember Gyuri and his love of life.